All Markham homes currently listed for sale in Markham as of 04/25/2019 are shown below. You can change the search criteria at any time by pressing the 'Change Search' button below. If you have any questions or you would like more information about any Markham homes for sale or other Markham real estate, please contact us and one of our knowledgeable Markham REALTORS® would be pleased to assist you. "Welcome to Rose Folly Farm. 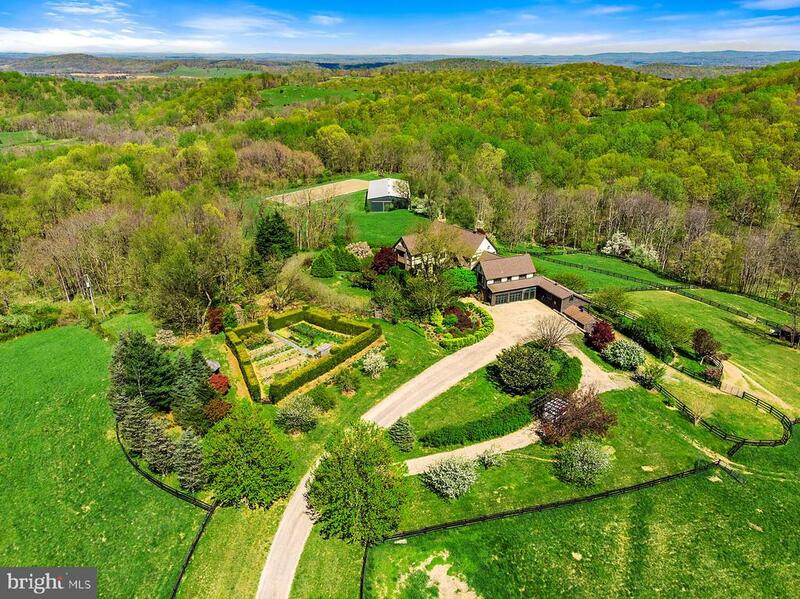 Located just 3 miles from I-66, this perfectly situated English Farm House has 360 degree panoramic views of the countryside. Designed in the style of Sir Edwin Lutyens, the exterior of the home has been crafted with stucco, brick, native stone and timber beams. With soaring ceilings, wide plank hardwood floors and beamed ceilings, this dramatic home was designed for entertaining and yet still feels cozy and comfortable. A 2 bedroom/full bath guest cottage is adjacent to the main house. Also attached to the home is a 2 stall barn with automatic waterers and tack room. Outdoor riding arena with sand/rubber footing and Indoor riding arena with excellent rubber footing. Additional outbuildings include a 8' x 20' shed, 4 bay equipment shed, run-in sheds, garden shed and greenhouse. The property has been fenced and cross fenced with automatic waterers and an abundance of riding and walking trails along east side of property past stream and ponds as well as vast riding trails across the street in the Thompson Wildlife Reserve. The ponds are stocked and there are plenty of areas to appreciate the beauty of the Virginia Piedmont." "YOU HAVE BEEN WAITING FOR THIS! Unique one of a kind custom post and beam home on 50 acres over looking your own pristine 5 acre lake with stunning views Re-claimed heart pine, great open floor plan, fabulous kitchen, 3 fireplaces, open and covered decking, Two story great room with floor to ceiling glass and stone. Second pond with bold stream, large barn, completely fenced. A place to escape to! Located in the heart of Northern Faquier's beatiful country side and wine region. The perfect retreat or a place to call home full time. Very unique and special." "Just reduced - exceptional value! Pass the pond and up the drive to this turn-key offering tucked onto 50 acres of utter privacy. 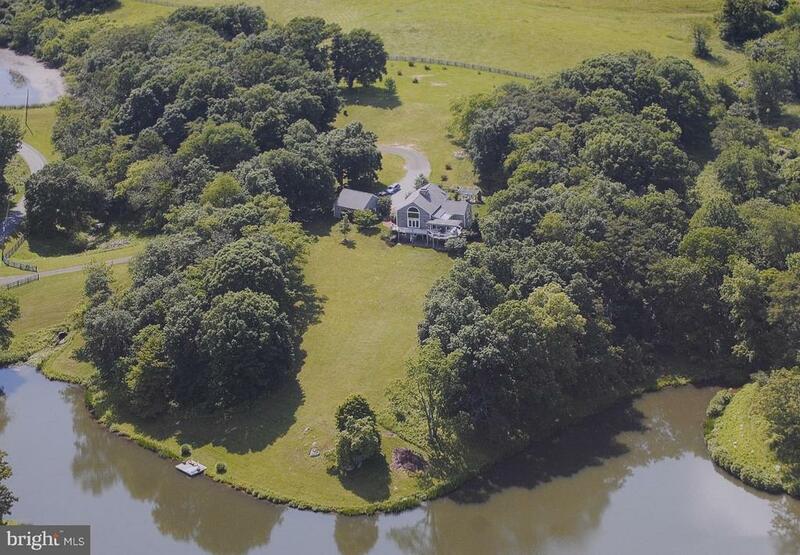 A perfect weekend retreat or full time residence with excellent access to DC and just moments to hunt country riding, polo, steeplechase, inns, taverns, and wineries. Splash in your private pool and curl up by the fire! Lovingly upgraded! See video and 3D tour!" 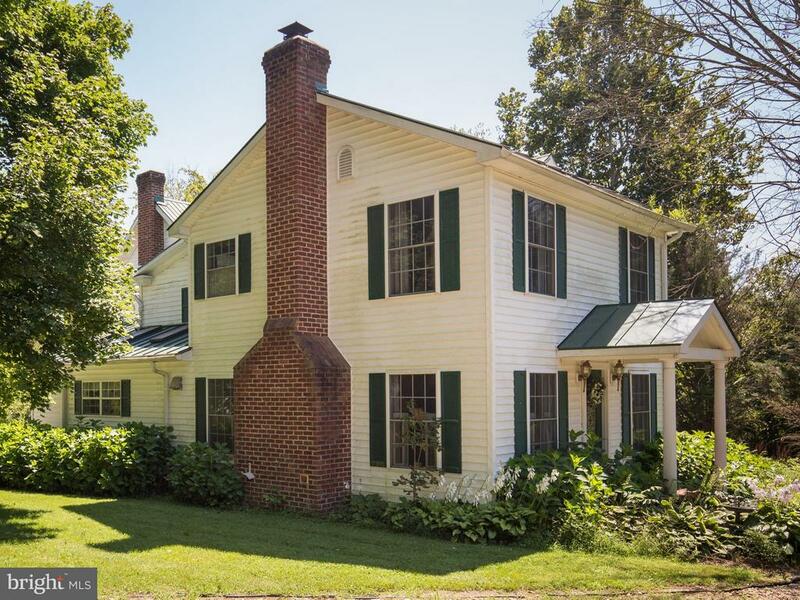 "Renovated, historic main house w/in-ground pool; shop/barn w/2 BR, 1 BA apt & kitchen. Currently operated as a bake shop & specialty foods farm. Excellent site for year round agribusiness--growing & suitable for farm sales; 10,000 sq. ft. hydroponic pad; stocked pond; fields/gardens for vegetable, herb, berry, fruit & flower crops. Village Zone allows cottage industry to serve surrounding region." "Weekend Retreat From The City! !Cabin nestled in a dell with modern well & septic.Underground elec.& telephone. Entrance field has great southwest mt. vistas & is an extra approved bldg. site.Audubon Trail runs along left side of parcel, passes cabin and opens into a large parcel in back whose owner normally uses other access/egress.Creek & grass around cabin.LB at cabin gate.Call for more details." "Ready to move in! 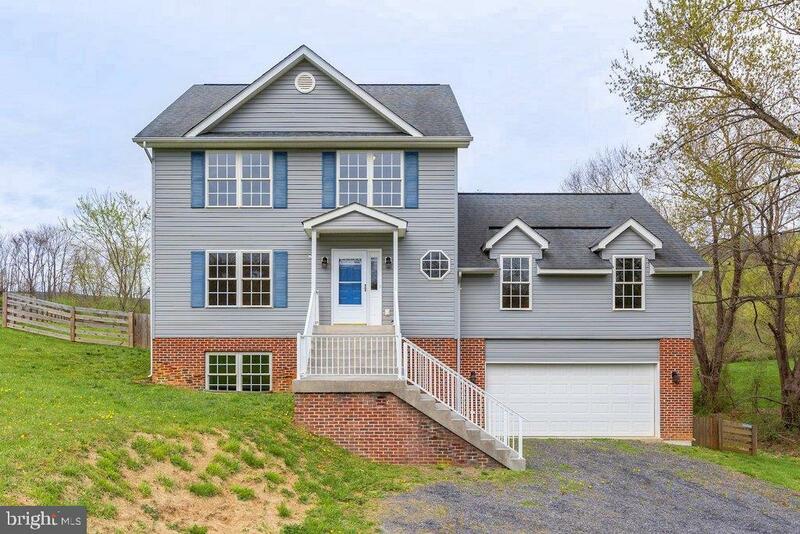 Beautiful 4BD/3.5BA almost 3,000 sqft home on 1.55 AC fenced-in backyard*Country kitchen w/new Granite*EnergyStar Appls*Gleaming HardWD*Gas FP*Plush New Carpet*Fresh paint inside out*Huge private MR suite on Main lvl*Large BD RMs*Freshly stained deck ready for BBQ! Newly finished LL w/huge Rec RM & full BA*2 Car Gar*Lots of storage*Large Shed*NO HOA! 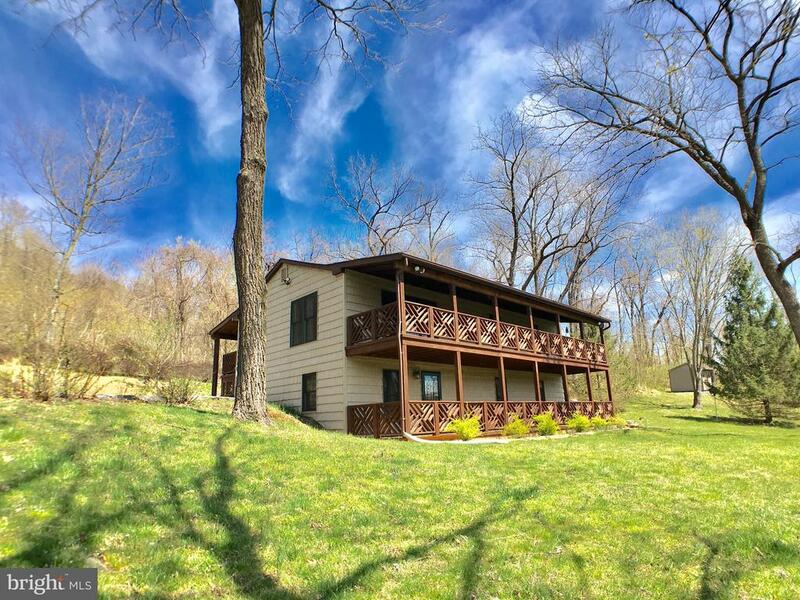 *1Min to I66*20min to Haymarkt"
"Beautiful setting with mountain views while you sit on 3 private acres. This 3 bedroom 2 full bathroom home has been freshly painted, new counter tops, updated master bathroom, new carpet and flooring in the lower level. Enjoy the views from the screened in porch off the back of the house or sit under your covered front porch. With the oversized garage it's perfect for a workshop leaving plenty of room for 2 cars. Minutes to wineries/orchards/skyline and 1 block from commuter lot. Live here year round or make it a weekend home to get out of the city." 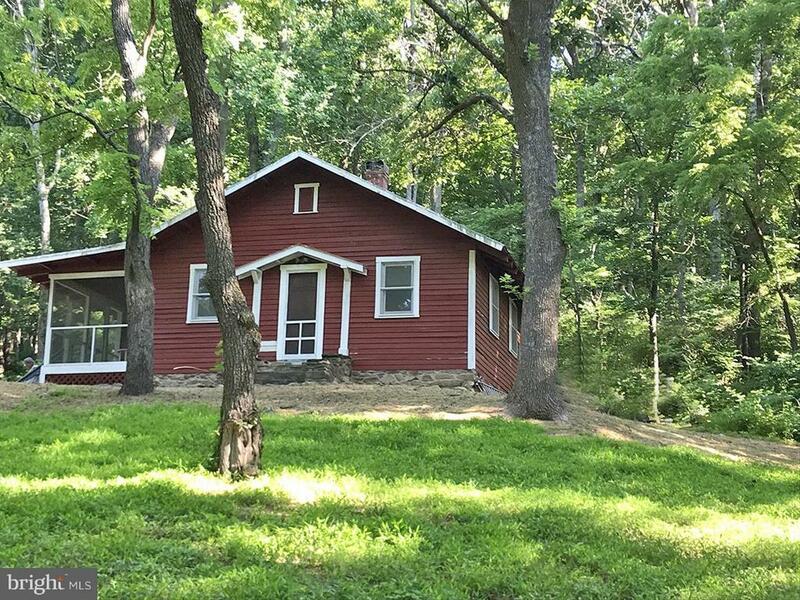 "Cabin Style 2-Level Ranch/Rambler w/ Tiered Decking, 2.8 miles to I-66, & close to nearby Farms, Wineries, Hiking Trails, & Wildlife Park to Hunt/Fish. Main Level Features Open Layout Living Rm/Kitchen/Dining Area w/ Vaulted Ceiling and Front & Rear Covered Deck Access, Hall to Bedrms 1-3 & Bathrms 1-2. Fully Finished Lower Lvl w/ Great Room, Den, Full Bathrm #3, & Potential Bedrm. VIRTUAL TOUR >>> NEARBY ATTRACTIONS & ROADS >> 6 Miles to Appalachian Trail Access Point; 3 Miles to Hartland Orchard of Pick Your Own (PYO) varieties of Cherries, Peaches, & Apples; 2.2 Miles to Green Truck Farm of PYO Fruits & Vegetables; 12 Miles to Sky Meadows State Park; 15.3 Miles to GR Thompson State Wildlife Management for Fishing & Hunting; 12 Wineries within 10 Mile Radius of Home; 11 Miles to Route 50; 7.3 Miles to Route 17; 2.8 Miles to I-66; 11.5 Miles to Marshall; 14.7 Miles to Front Royal. >> HERE'S A CLOSER LOOK >> Driveway at end of Belle Meade Road on the Right -- Main Entrance at Rear of Home with Covered Deck Extending Length of Home -- INTERIOR: Entry to Open Layout Living Room / Kitchen / Dining Area with Sliding Glass Door to Front Deck as well as Door to Rear Deck, Vaulted Ceiling, Open Stairway to Lower Level, & Hallway Access -- Main Level Hallway to Master Bedroom Suite with Attached Full Bathroom & Rear Deck Access -- Hall to Bedrooms #2 & #3 as well as Bathroom #2 in Hall -- Stairway to Lower Level -- At End of Stairway, Open to Great Room to Left, Lower Level Front Deck Exterior Door to Right, and Potential Bedroom to Far Right -- Great Room has Flue for Stove (Stove in Photos DOES NOT Convey) & Half Wall Division between Den with Attached Full Bathroom #3 -- Potential Bedroom #4 with Built-In Bookcases & Full-Size Windows -- Laundry Room / Utility Room with Laundry Tub Sink & Built-In Storage Shelving -- EXTERIOR: 16x20 Outbuilding with Electric & Decking -- Storage Shed -- Front & Side Yards with Mature Trees"
"Price Reduction! 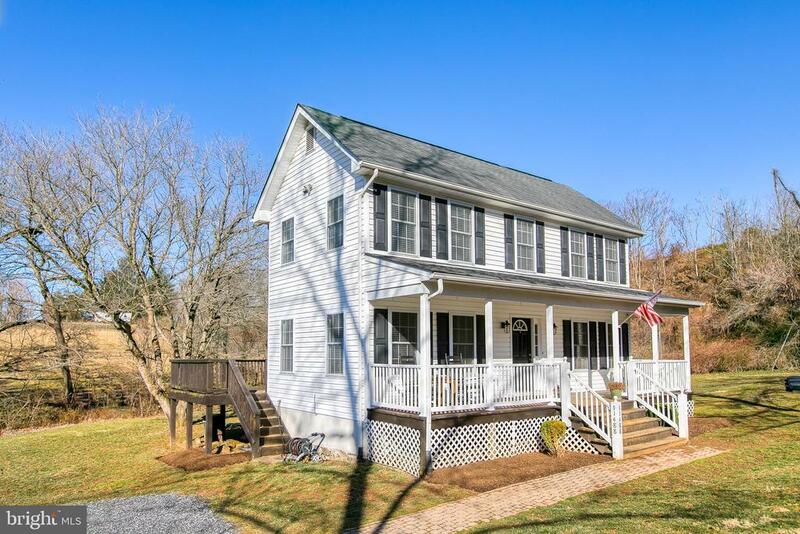 Beautiful & Completely Updated 3 Bedroom, 2.5 Bathroom Home on almost one acre! Gourmet Kitchen has Stainless Steel Appliances. Gleaming Hardwood Floors located throughout Home. Gas Fireplace for Cold Nights! Oversized Master Suite with walk-in closet, vaulted ceilings, ensuite luxury bath. Country Front Porch and a Large, Level, Manicured Backyard with Shed. 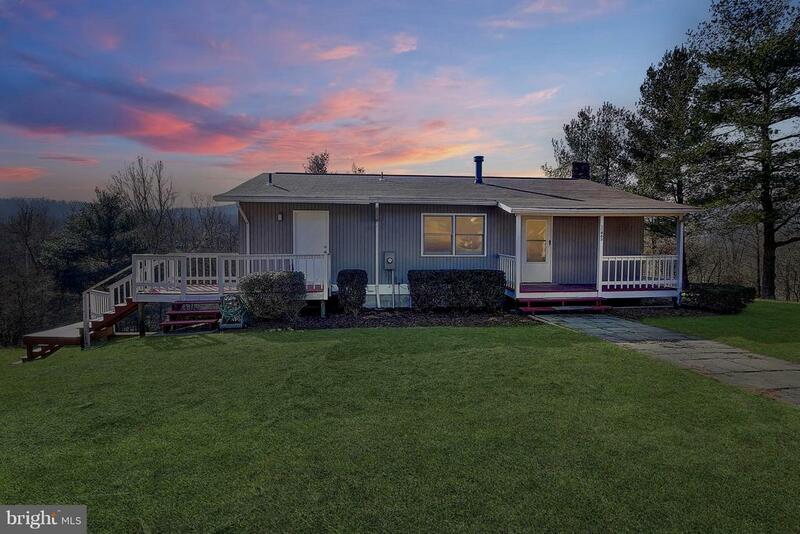 Minutes from Wineries, Orchards, and Skyline. 1 Block from Commuter Lot. No HOA!"